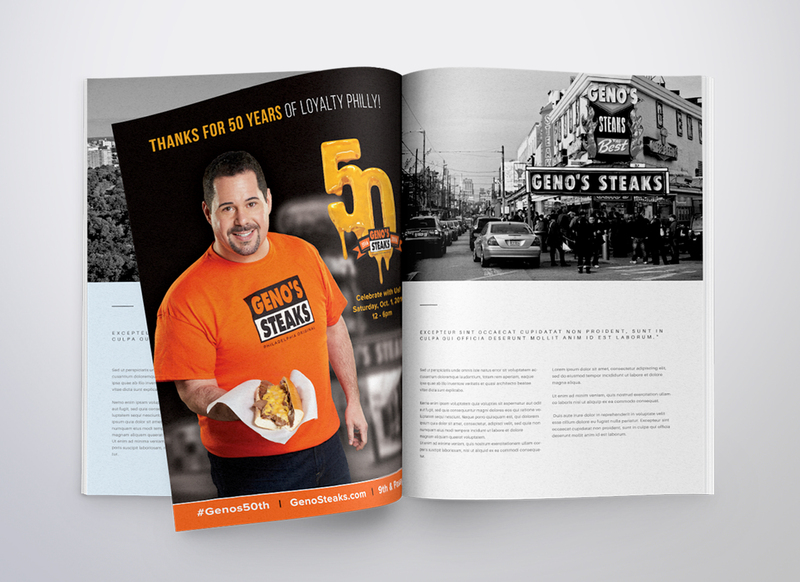 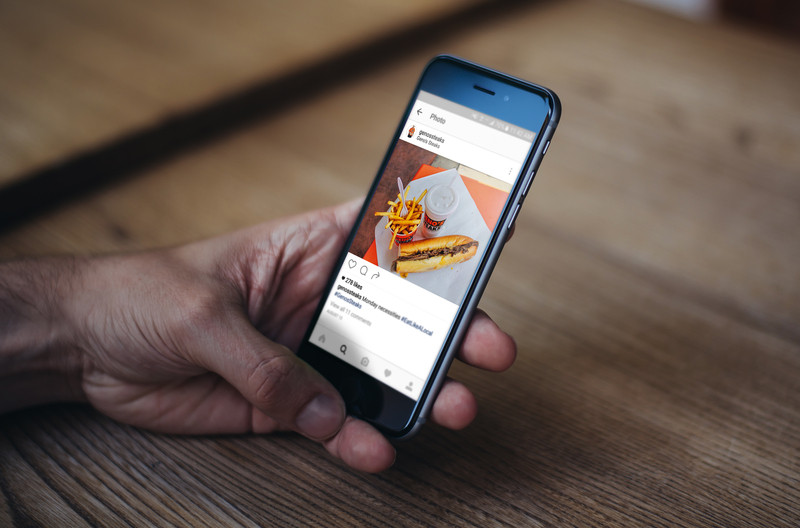 Having already collaborated with Neff Associates on advertising, PR, and Social Media throughout the years, Geno’s Steaks re-approached our team in 2016 for an integrated national and local public relations campaign. 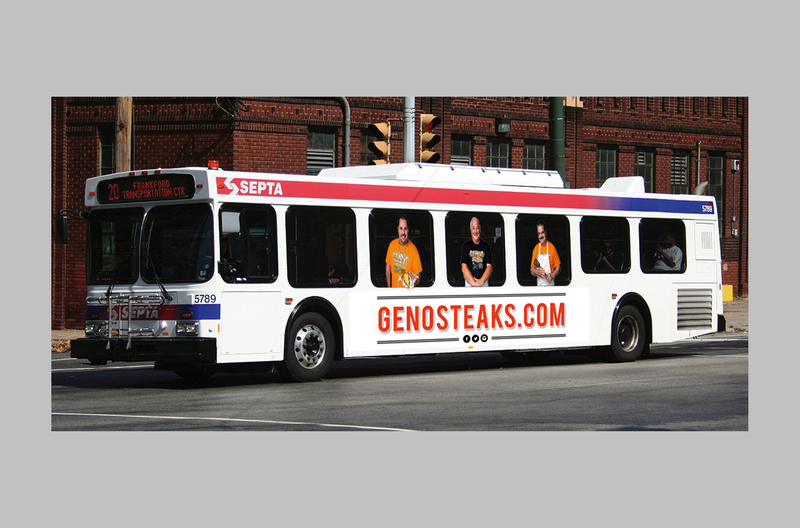 We’ve secured numerous national features for the Geno’s brand and continue to sustain high levels of impact. 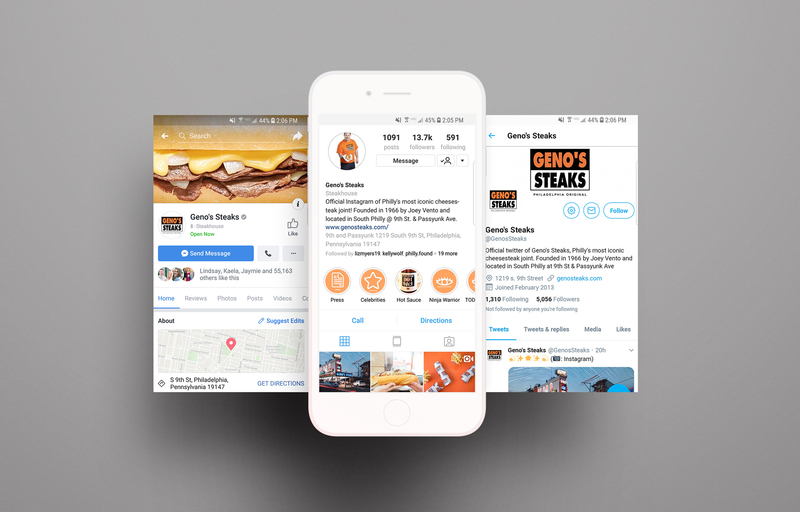 Along with the PR outreach, the Neff team continues to collaborate with Geno’s on complimentary advertising initiatives, as well as efforts for Geno’s Steaks 50th Anniversary celebration. 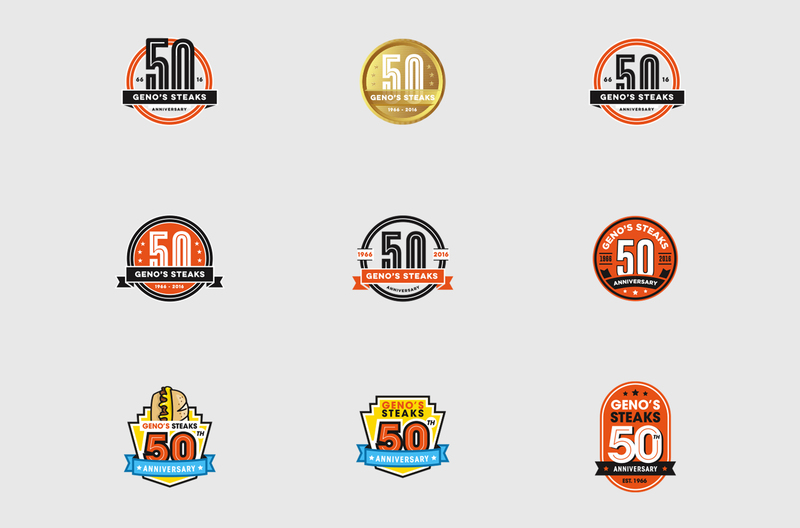 In conjunction with the intergrated campaign efforts, the Neff design team collaborated with Geno’s to draft potential 50th Anniversary marks. 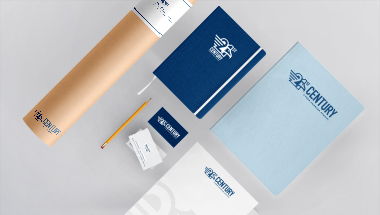 Below is a small sampling of our process. 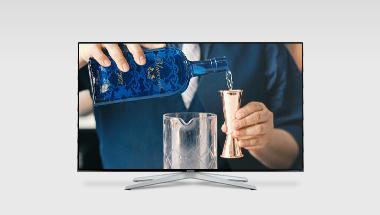 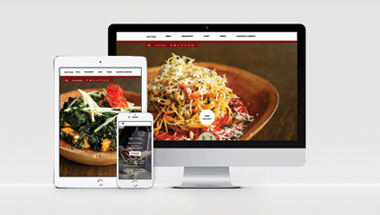 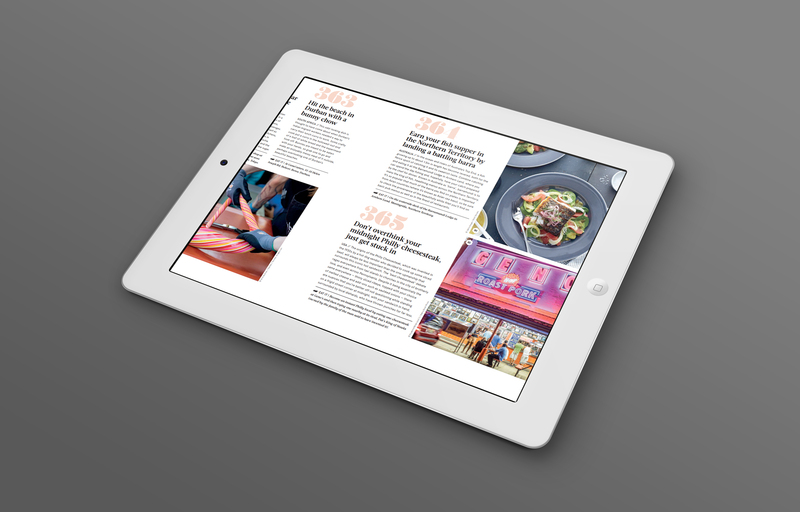 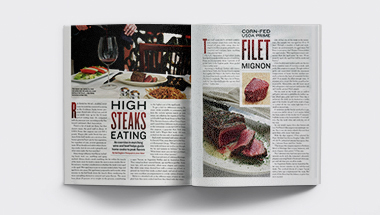 Along with the icon design process, we prepared additional creative deliverables such as print and online advertising. 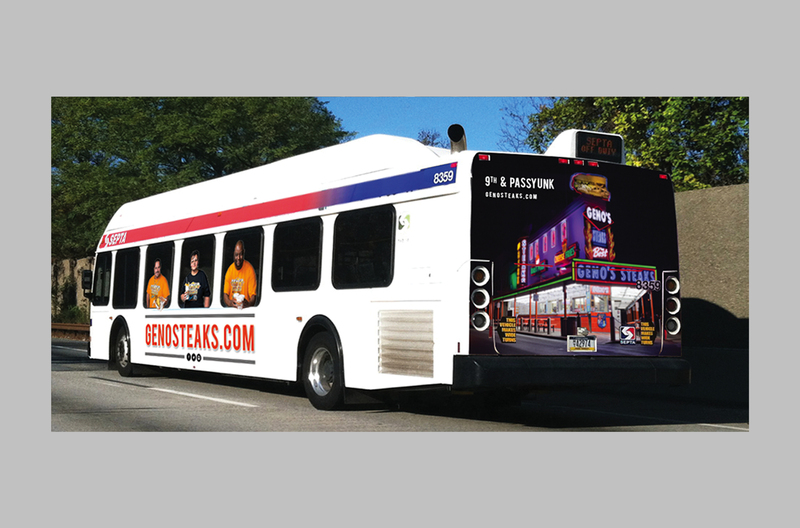 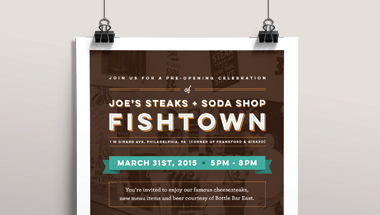 The Neff team worked with Geno’s Steaks to design an out-of-home advertising campaign featured on Septa buses and transit shelters. 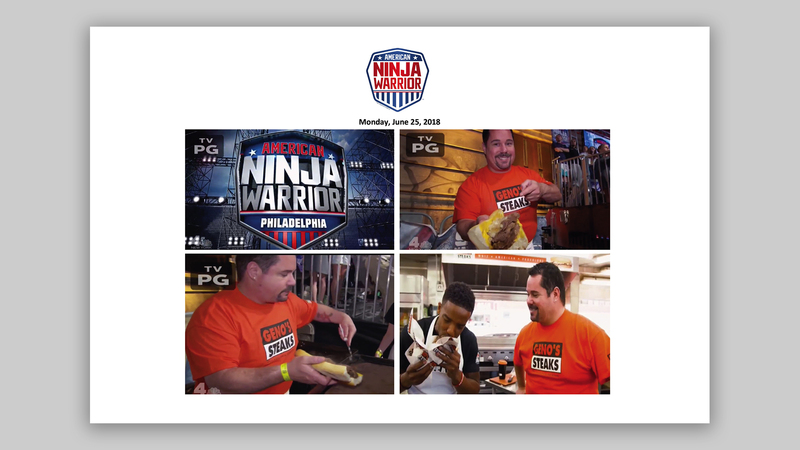 The goal of the branding initiative was to replicate the experience of “going to the real thing.” Examples of the creative can be seen below. 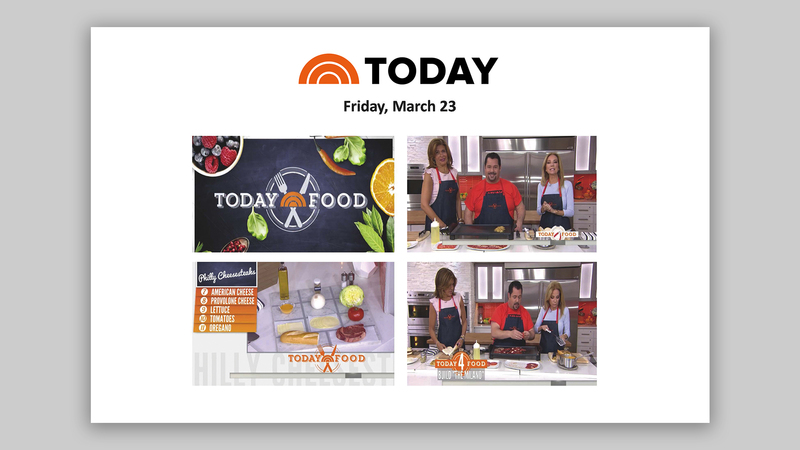 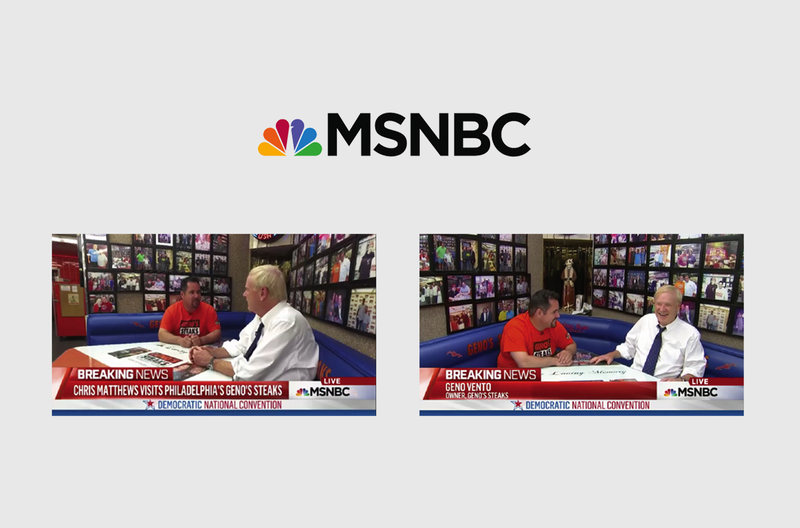 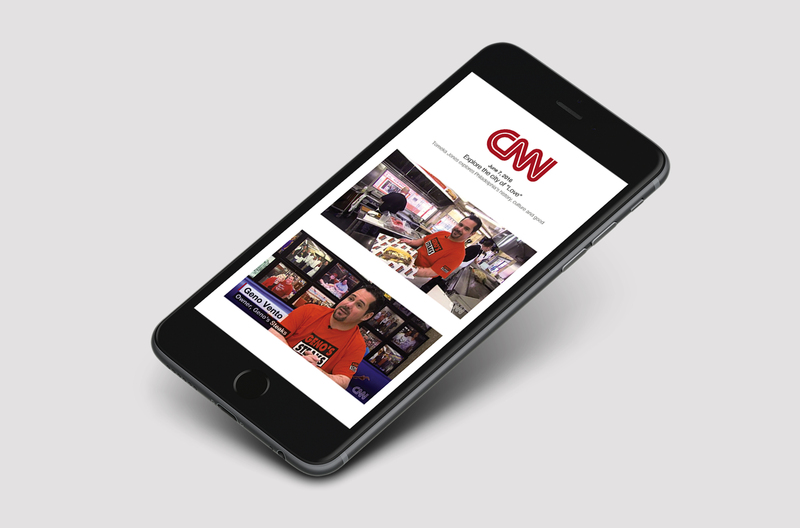 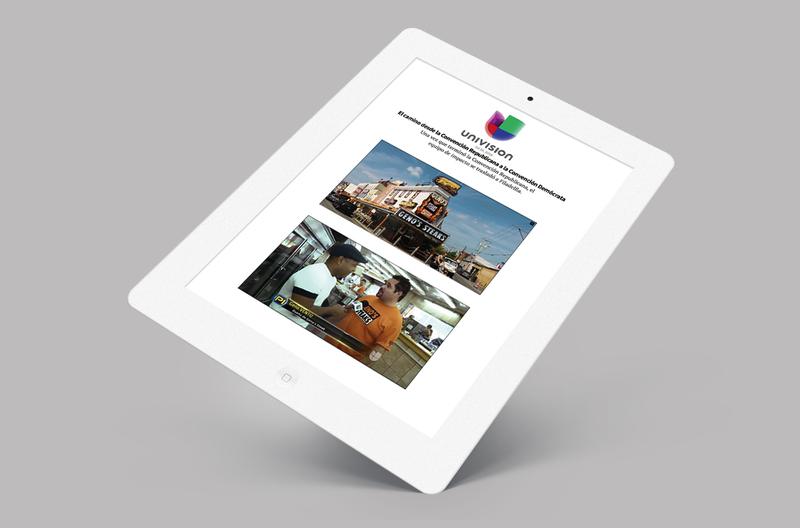 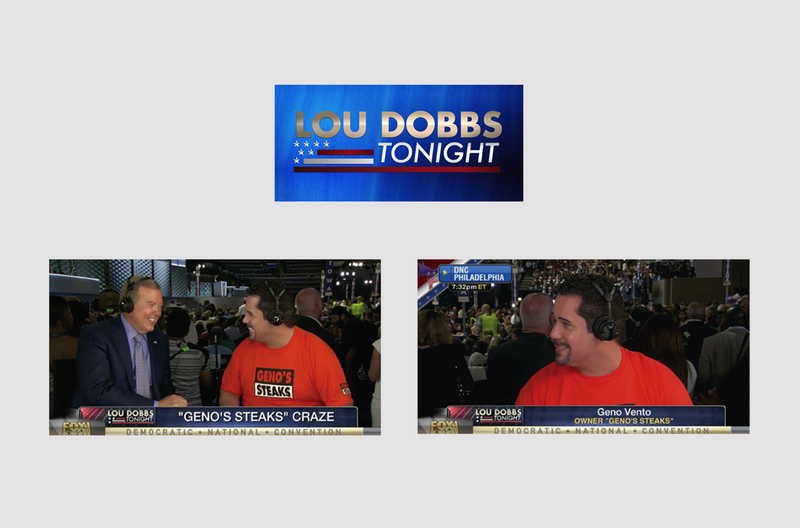 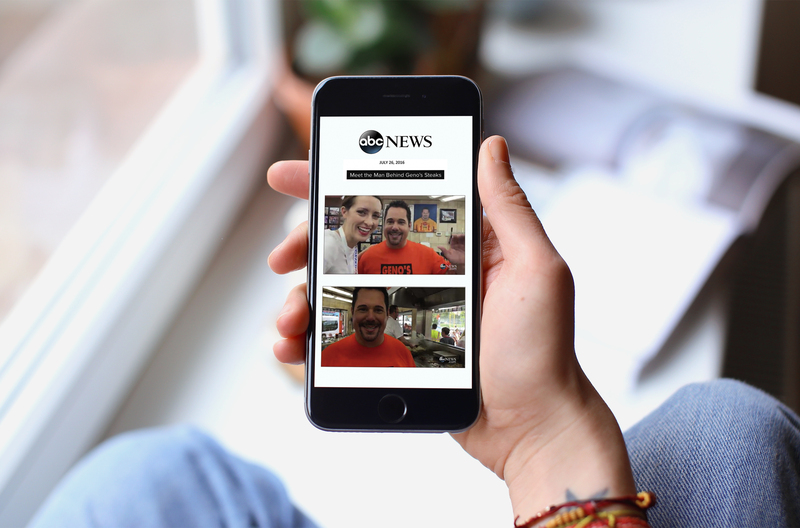 Our team targeted top-tier nationals outlets to promote Geno’s Steaks, such as Today, CNN, The Daily Show, Fox and Friends and MSNBC. 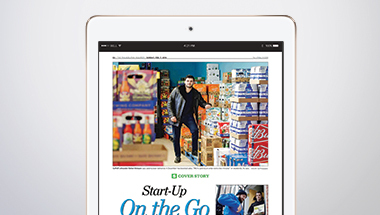 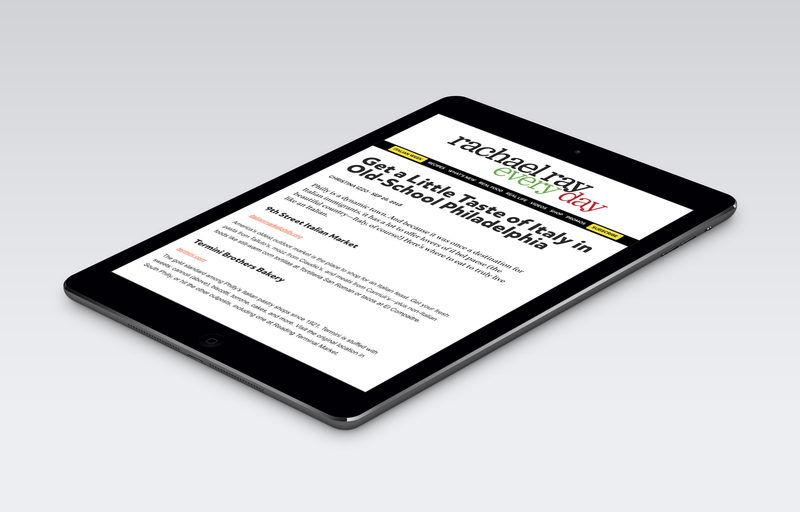 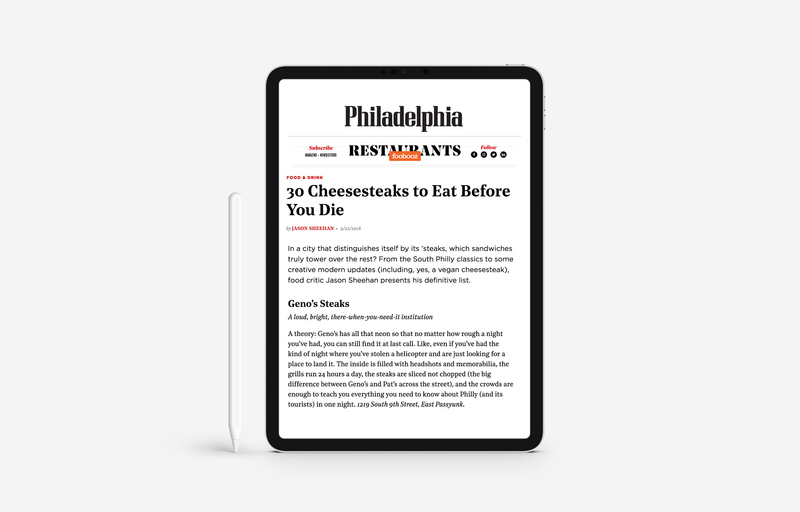 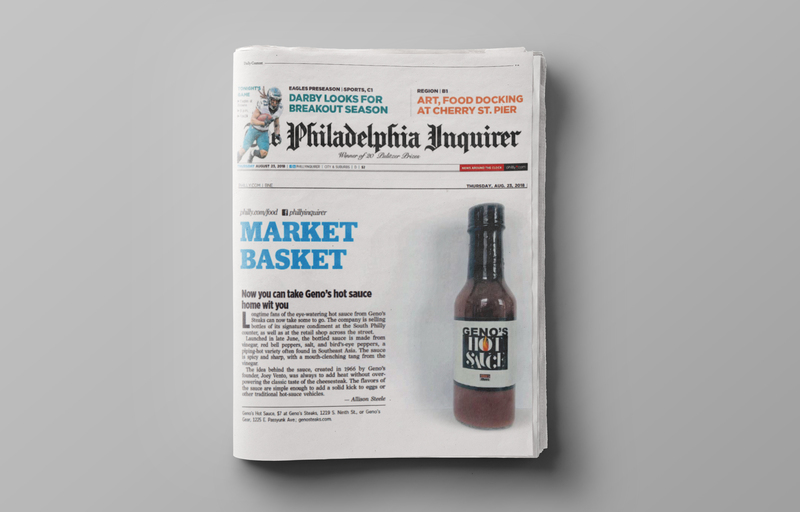 Articles in these publications not only garnered the brand higher exposure in the Philadelphia market, but also helped promote them to a wider audience nationally.